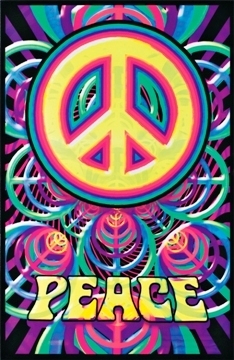 This flocked Peace Sign Velvet Blacklight Poster says it all! Our bright and colorful black light posters are a great addition to any room! Posters are meant to be used with a black light for optimum viewing but look great with out one as well. Need a black light? We sell those too! Measures 24" x 36"